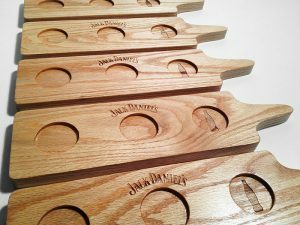 Jack Daniels - Tasting Trays - Pure Black, Inc. 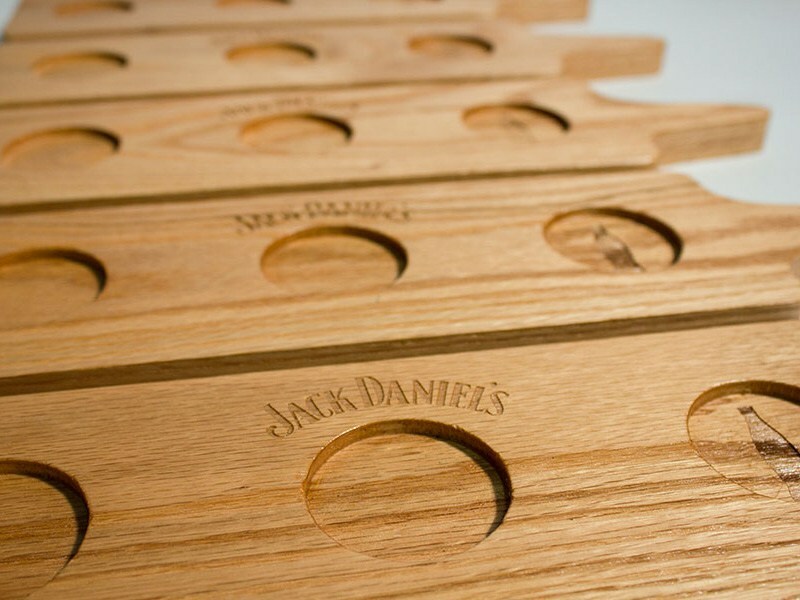 Very excited to make these tasting trays for serving “flights” of Jack Daniels Whiskey as well as Gentleman Jack along with an extra spot for an ice cold Coke to wash it down. CNC cut on 3/4″ sold Cherry, sanded, engraved and finished with a gloss lacquer. Thanks to the people at Southern Art and Bourbon Bar for making the connection.